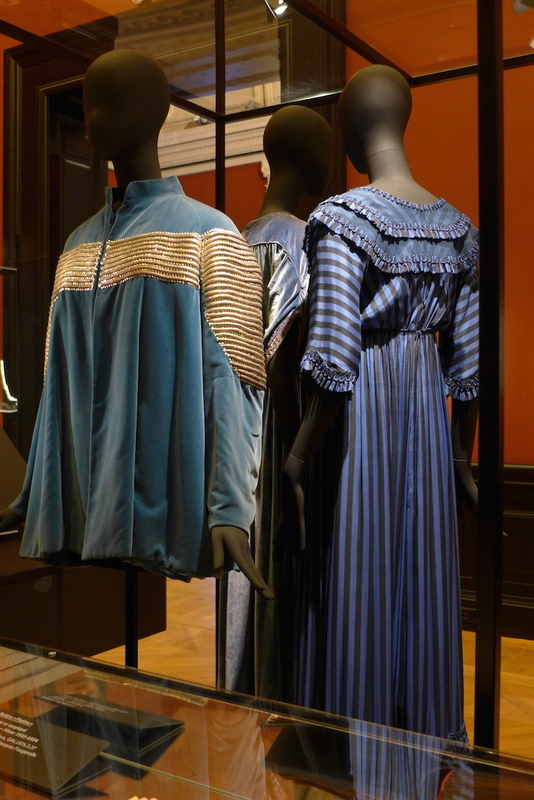 In the following rooms one can see successively ethnic dresses, whose design and fabrics were inspired to Jeanne Lanvin by travel diaries or art books; Children and Young Ladies’ dresses; wedding dresses; and in the last room evening dresses. Some of them are incredibly modern and could be worn at the present time, such as the ‘Sphinx’ dress (ethnic) or the ‘Bel Oiseau’ (elegant black taffeta and pearl embroidery dress) for instance. Many are part of the Art Deco movement and were exhibited in 1925 in the International Decorative Arts Exhibition in Paris. The whole is beautifully displayed with lighting and mirror effects. The scenography of the exhibition is really good and was made in close collaboration with Alber Elbaz who has been the Lanvin designer for more than ten years. 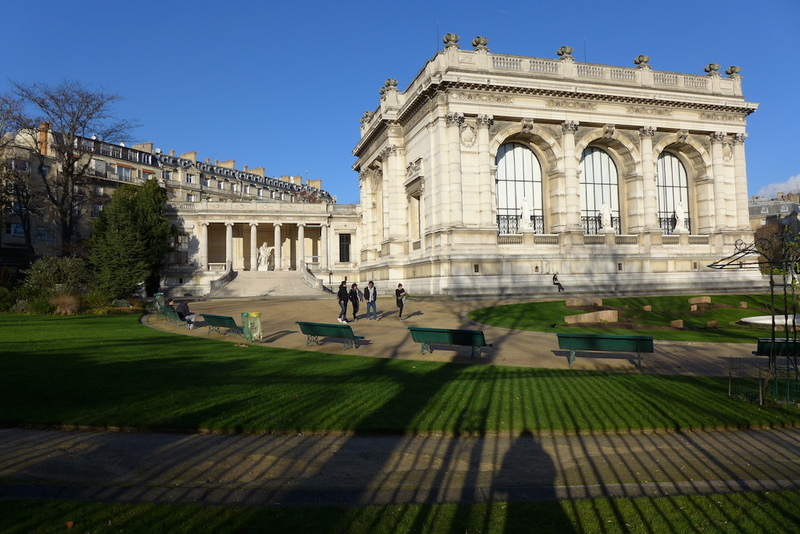 The interior decoration of the Palais Galliera, with its walls painted in red, its mosaic floors and painted high ceilings lends itself to the exhibition of dresses and emphasizes the collector’s items displayed. I could not take any picture as it is forbidden and the museum attendant was very watchful: I let you be surprised and dazzled on the spot! 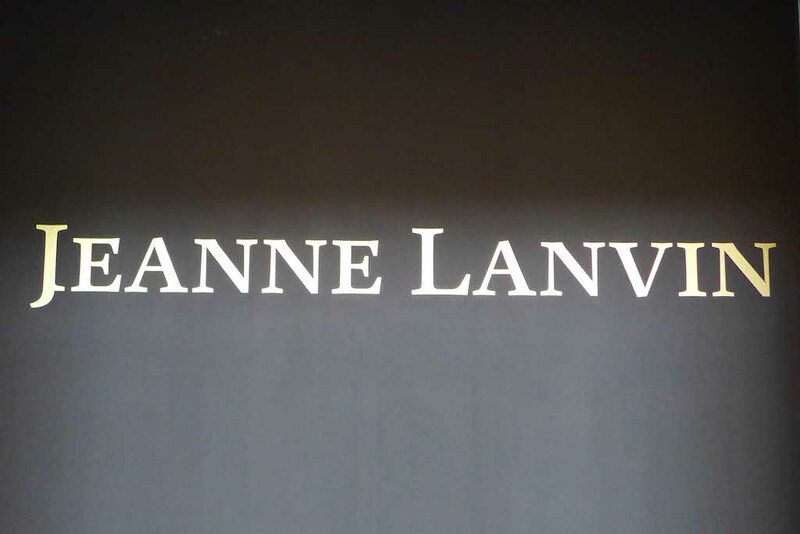 I also enjoyed to get to know Jeanne Lanvin, who was not only the founder of the oldest fashion house still in business in Paris, but above all a remarkable woman and mother with brilliant ideas, whose creations were inspired mainly by her daughter Marguerite and are really exceptional thanks to their design, fabrics, materials and colours… and remain incredibly present almost a century later. Coco Chanel or Yves Saint Laurent inspired several movies. Why not Jeanne Lanvin, the talented lady who opened in 1889 under the name ‘Lanvin-Mademoiselle Jeanne-Modes’ the oldest fashion house in Paris, now called the Lanvin house?